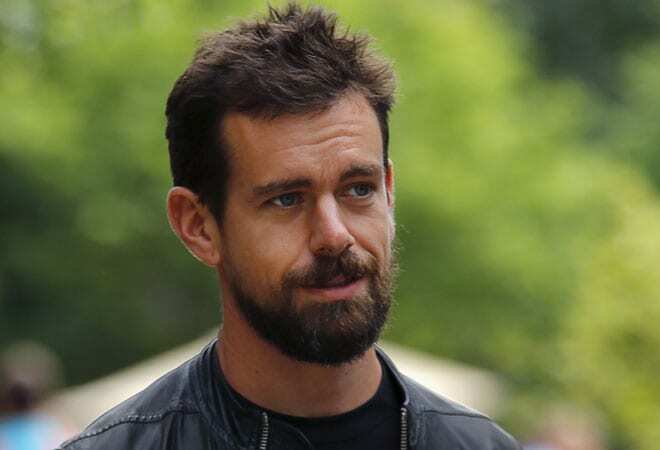 Twitter named Jack Dorsey as its permanent CEO but said it would look elsewhere for a chairman, seeking to allay concerns about its co-founder's dual role as head of the mobile payments company Square. Twitter's shares rose as much as 6 per cent on Monday after the announcement, which ended months of speculation about who would take the top job at the micro blogging service. "To further simplify the demands on his time as well as to make sure we bring a fresh voice and new leadership to the board, the board has decided to separate the chair and CEO roles," Peter Currie, Twitter's lead independent director, said on a call. Twitter is working to rekindle growth after its latest quarterly results revealed the slowest rise in monthly average users since the company went public in 2013 - a performance that Dorsey at the time called "unacceptable." Investors and analysts have lauded faster product rollouts since Dorsey took the helm in July, including a widely available "buy now" button that allows users to make purchases directly through Twitter. Kevin Landis, portfolio manager at the Firsthand Technology Value fund, said Dorsey should focus on innovation and on finding ways to make Twitter as much as part of its user's daily lives as Facebook is to its users. "The worst thing you can say about Twitter today is that it looks a lot like the Twitter of two years ago," said Landis, whose fund has owned shares of Twitter since before the company went public. Dorsey is not the first person to run two major companies. Steve Jobs led Apple and animated movie studio Pixar for several years. Elon Musk runs electric car pioneer Tesla Motors and rocket maker SpaceX. Dorsey sent Twitter's first tweet - "just setting up my twttr" - in March 2006. He had more than 3 million followers as of Monday, more than either Musk or the current Apple CEO, Tim Cook. Shebly Seyrafi, analyst at FBN Securities, said Twitter might be seeking to limit Dorsey's already heavy workload. But that is only part of the rationale, he said: "an outsider as chairman is also a way to keep a check on the chief executive". "You could potentially see conflicts of interest with Square," said James Cakmak, analyst at Monness, Crespi, Hardt & Co. "It hasn't happened yet, but at that time it would help him recuse himself from conversations that do involve Square." "We assumed we would only consider a candidate who could make an undivided commitment to be our CEO," Currie said. "But over time it became apparent to us that Jack was not just meeting but surpassing the expectations we had of him as interim CEO, while also running Square." Tech news website Re/code first reported Dorsey's permanent appointment last week. Dorsey will remain on Twitter's board. Costolo resigned from the board on September 30. Adam Bain, previously Twitter's president and head of revenue and once considered a favourite for the top job, was named chief operating officer. Twitter's shares rose 5.8 per cent to $27.84 on the New York Stock Exchange.